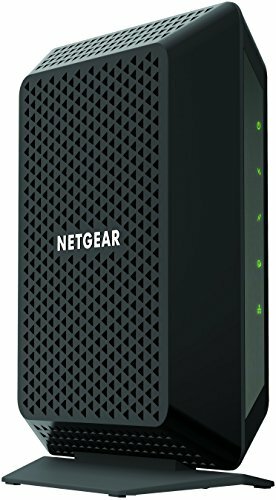 The NETGEAR CM700 High Speed Cable Modem provides a connection to high-speed cable Internet with speeds up to 1.4 Gbps. It is CableLabs certified DOCSIS 3.0 and provides up to 32 times faster than DOCSIS 2.0 devices. The Gigabit Ethernet port provides faster access and downloads. CableLabs DOCSIS 3.0 certified to work with all the major cable Internet providers like XFINITY from Comcast, Spectrum, Cox and more. Support Cable Internet Service plans up to 500 Mbps. Separate router required for WiFi. 32x8 channel bonding . Not compatible with: Verizon, AT&T, or CenturyLink. Not compatible with bundled voice services. Compatible with Xfinity from Comcast, Spectrum, Cox, CableONE & more.